Myanmar (officially known as the Republic of the Union of Myanmar) is located in Southeast Asia and may be more recognizable by it’s former name, Burma. While the name was officially changed from Burma to Myanmar in 1991, the names are often used interchangeably. 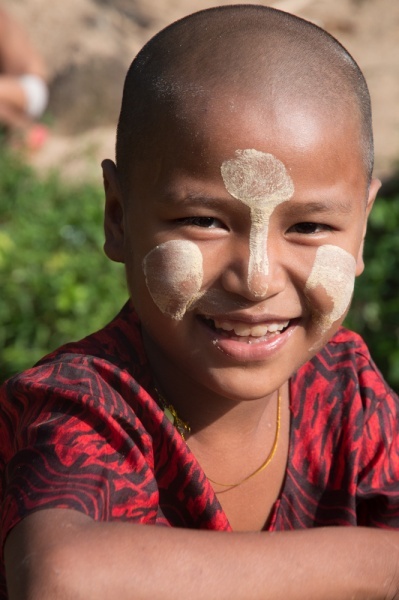 The locals are also known as Burmese and the official language is Burmese. The country is just over 260,000 square miles in size and an estimated 50 million people call it home. 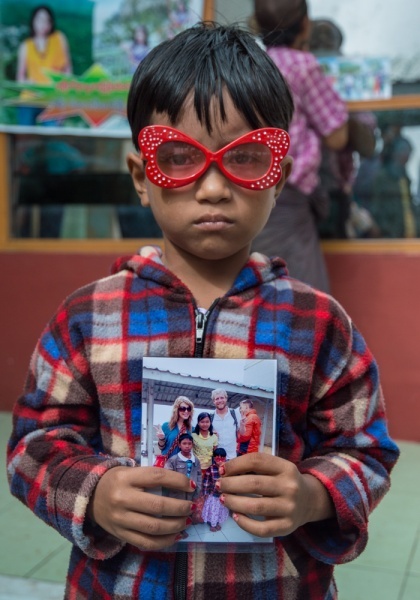 Myanmar opened up it’s arms and gave us a big bear hug when we visited in 2014 (and again in 2018) and needless to say it’s remained at the top of our list of favorite countries we’ve ever visited since. The country has struggled over the years with religious conflict but has managed to shield tourists from any possible danger and has remained safe and welcoming for foreigners. Foreigners often stick to the typical touristy destinations in Myanmar such as Bagan, Inle Lake, and Yangon. Which are amazing! And more on those at the end of this post. But this amazing country has so much more to offer the adventurous traveler! So read on to learn about the quirky and unique experiences that we had during our trip that helped to make our experience wonderful. And we hope that you fall in love with this beautiful country and the lovely people who reside there as much as we did! 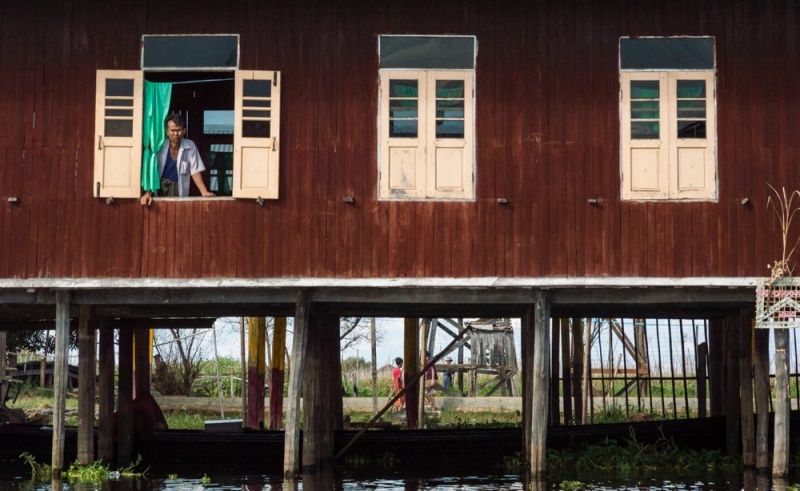 Myanmar is still in the process of building up it’s tourist infrastructure so public transportation can be rough and accommodations can be limited in a few still off-the-beaten-path locations. Patience is key. You’ll need to secure a visa beforehand as there is not currently a visa waiver or visa-on-arrival option. Luckily Myanmar’s e-visa process is fairly simple and straight forward. The official currency of Myanmar is the Kyat but it is not pronounced as it is spelled. Kyat is pronounced more like ‘chee-at.’ At the time of writing (January 2018), the exchange rate was 1351.35 Myanmar Kyat to $1 USD. Learn a few phrases! “Hello” is “min-ga-la-ba” and “thanks” is “chay-tzoo-beh“. Not only is the country incredibly safe, but you’ll find the people to be willing to help without expecting anything in return. They are just genuinely happy and helpful as a culture and we found that most did not request a “tip” for being helpful as many people in other countries have become accustomed to. Shaking hands is rare in Myanmar and contact between males and females is even more limited here than other Southeast Asian countries. Exercise restraint in your public displays of affection. Men and women alike tend to dress conservatively. Both wear longyis which are essentially ankle-length skirts. You’ll probably feel more comfortable if you cover your shoulders and your knees as well. Better yet, buy a longyi, it’s super comfortable and the locals love it! Kyaiktiyo Pagoda or as it is more affectionately know, the “Golden Rock”, is quite literally just a rock covered in gold leaf that is perched high on a hill in Kinpun in southern Myanmar. What makes this particular rock so special is the fact that it is very precariously balanced and could potentially go careening down the hill at any moment. 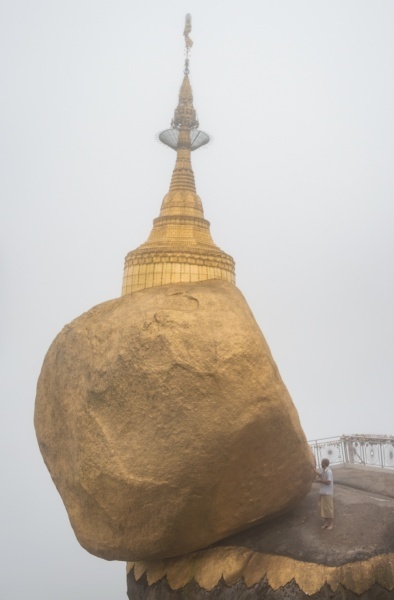 The devout believe that a single hair of Buddha is keeping it balanced, and that particular hair is also what makes this rock the most sacred site in all of Myanmar. The rock is apparently so unstable you can rock it back and forth. Well, you can if you are a man. Women aren’t allowed to get too close. Men are also permitted to adhere gold flecks on the sacred rock for good luck. Most people arrive at Kyaiktiyo Pagoda by catching a ride in the back of one of the crowded pickup trucks that ply the route up and down the steep mountain road. But the truly devout (or simply those preferring the scenic route) opt to climb from the base of the mountain by foot. The religious pilgrimage is around 7 miles one-way. It is well maintained and fairly easy to find, although you’ll be climbing uphill most of the time. Along the way you’ll pass plenty of tea shops selling refreshments and snacks. Relatively few foreigners pass this way so you can expect a few stares, plenty of cheerful waves, and to be helpfully pointed in the right direction if you’re ever unsure of the path. 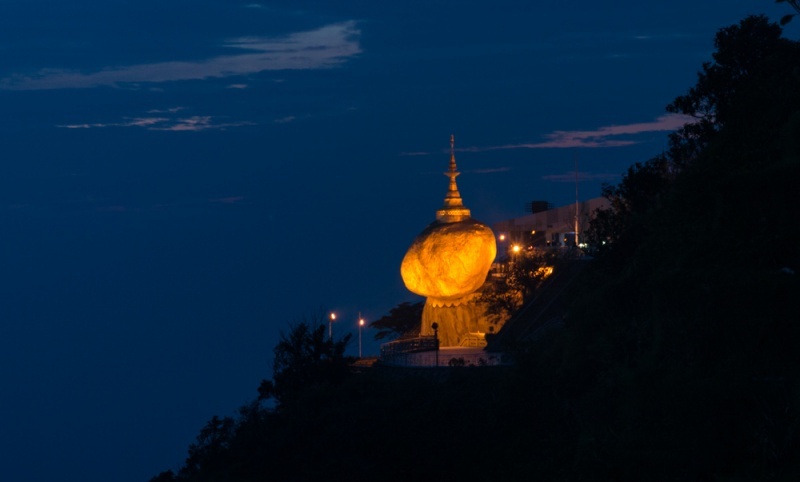 When you emerge near the top of the mountain you’ll be able to see the impressive Golden Rock in the distance. 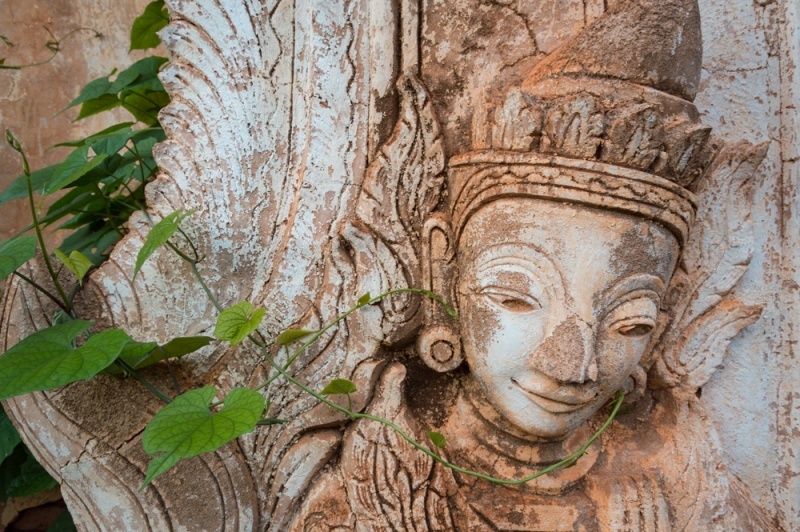 Surrounding the temple you’ll find a handful of hotels, restaurants, and souvenir shops. 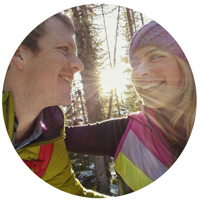 We recommend timing your hike so you arrive in the afternoon and then spend the night in one of the hotels. As sun goes down, the rock is lit up and has a spectacular golden glow. Many of the locals spend the evening in prayer around the pagoda so it makes for a magical atmosphere after the sun sets. Then the next morning get up early to catch the sunrise (though the mountain is often covered by fog in the morning) and catch a pickup truck ride back down to Kinpun. Note: If you’re not planning to spend the night at the top make sure you start your hike early as you’ll need to arrive at the top by 4:00pm at the latest. This gives you enough time to see the pagoda and catch the last truck down at 6:00pm. From Yangon, you can take a long, bumpy train ride to Bago and then a mototaxi to Kinpun. If you’re planning on doing the hike we recommend spending the night before in Kinpun so you can get an early start. You can also have your hotel store your bags so you can pack light for your pilgrimage and pick your luggage up when you return the next day. If you want to visit the Kyaiktiyo Pagoda but skip the hike, you can hire a private car to take you directly from Yangon to Kinpun (and back again) and then catch the pickup truck both up and down the mountain. But this makes for an extremely long and pricey day trip. Bagan is an area of Myanmar that is most certainly on the typical tourist track as it has thousands of ancient pagodas surrounded by a lush countryside. Most tourists rent a bicycle to cruise around the area or take a hot air balloon ride to get epic views from up high. But what most tourists don’t do while in Bagan is take the one-hour-and-a-half-long taxi ride to a pagoda called Mount Popa which is high on a cliff. In true Myanmar tradition, you are required to leave your shoes near the bottom of the 777 steps and approach the pagoda with bare feet. 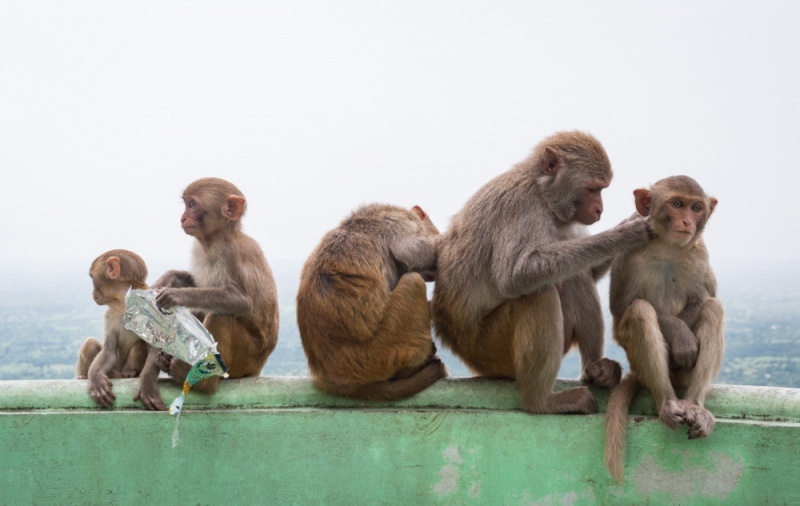 In most cases it’s no problem to visit a pagoda barefooted but this particular set of stairs is also home to dozens of monkeys that use the staircase as their personal toilet. There are a few locals working hard to clear the poo with wet mops which actually just turns the poo into a sloppy, slippery mess. 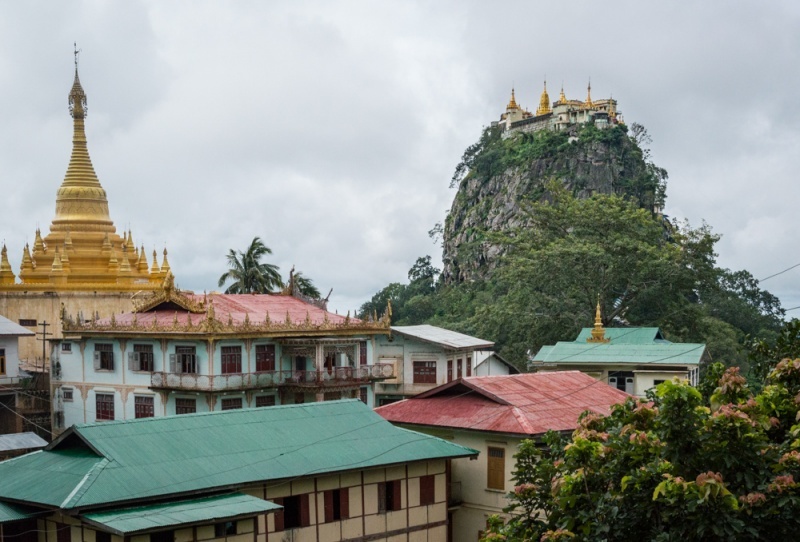 Because Mount Popa doesn’t get very many visitors and it is outside of the touristy areas of Myanmar, the locals who visit the pagoda do not get a chance to see many foreigners up close. If one of them is brave enough to request a photo with you, you’ll likely find yourself with a line of people waiting for the chance to stand next to you for a picture or have you hold their baby. Many don’t have cameras but luckily a clever man runs a small business at the top where he’ll take your photo and print it out for a small charge. Your presence will make his day as his business will be booming! Hire a taxi in Bagan to drive you the hour and a half to Mount Popa, wait for you to visit the temple, and then return you to your hotel. Pronounced “mrau-ooo”, this town located in northern Rakhine State is the second-most-famous archaeological site in Myanmar. 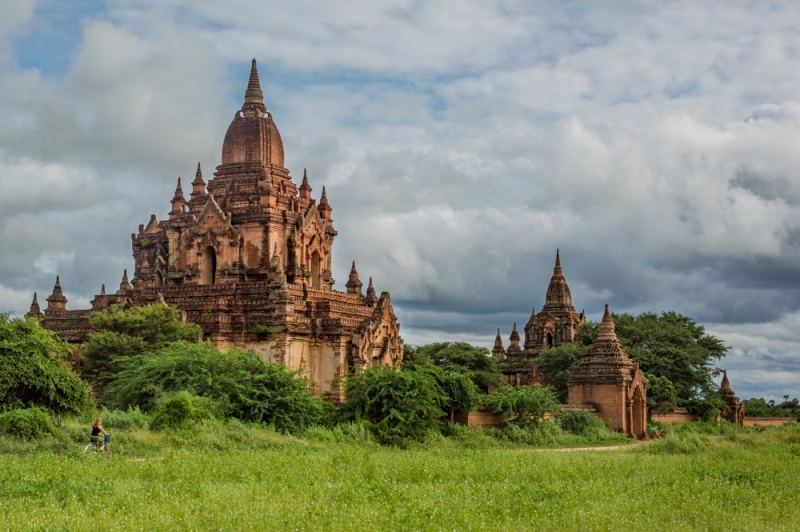 But unlike Bagan, it is difficult to get to and you’ll find far fewer tourists that opt to make the trek – they only see about 5,000 foreigners annually as opposed to the 230,000 overseas and 130,000 domestic tourists that visited Bagan in 2014. The pagodas are also quite different from those you will find in Bagan. They have very thick walls that are built from stone, not brick as they were made to protect from fierce winds. They are also smaller in size and were constructed more recently than those in Bagan. 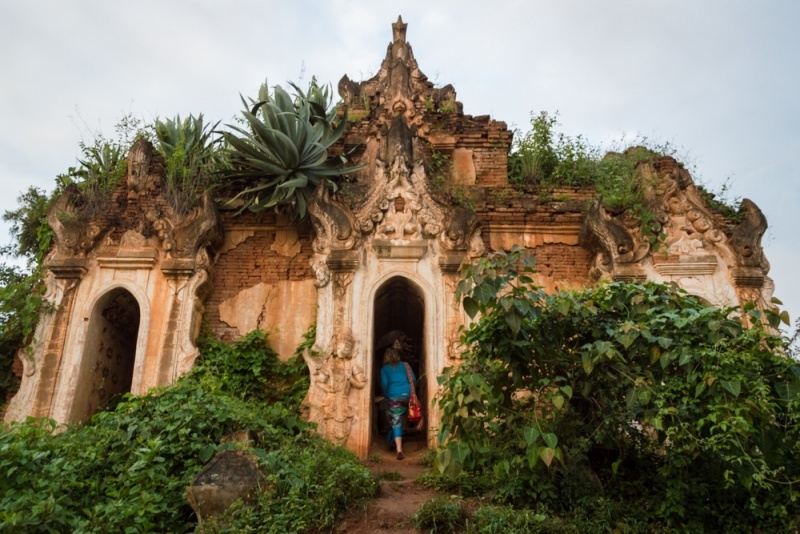 While wandering around the incredible pagodas you’ll also encounter some small villages, rice paddies, and grazing animals which is also in contrast to the landscape of Bagan. You’ll want to spend hours exploring these amazingly beautiful pagodas and will love staying in the quaint nearby town. It’s such a different experience from the bustling bigger cities so give yourself time in this region to soak it all in! The easiest way to get to Mrauk U is to take a domestic flight from Yangon to Sittwe and then either hire a private boat or take the passenger ferry. Hotels in both Sittwe and Mrauk U can arrange the boat service for you. You’ll need to pass through Sittwe en route to Mrauk U and we would argue that it’s worth spending a night or two in this town that rarely sees foreigners that aren’t just passing through. It’s a great way to see what life is like in Myanmar in a town that isn’t along the tour bus route. Only a few thousand tourists visit the Chin Villages each year and sadly there are only a few tattoo-faced women left in the tribes so it is truly a special experience if you are adventurous enough to make the trek. 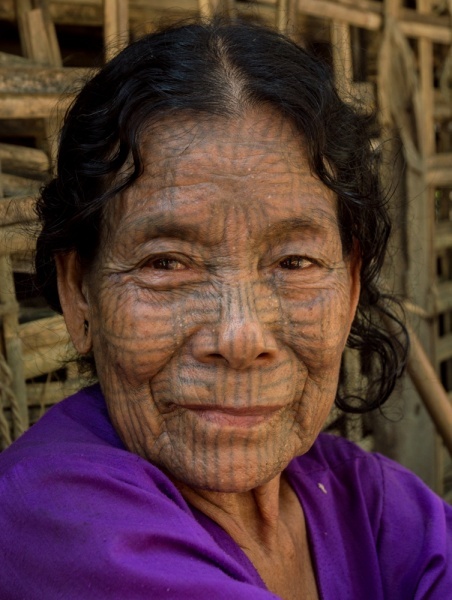 Many years ago it was tradition in the Chin Village to tattoo intricate designs on the faces of the women in the tribe. One of the women we talked to was tattooed when she was 9 years old and it took about 3 days. Different people give different meaning to the tattoos; some say the Chin Villagers started doing it because men from neighboring tribes would invade their village and take their women, others say they did it because they thought it was a sign of beauty and womanhood. They stopped doing the tattoos long ago and no longer find it beautiful so only a handful of tattooed women remain in the village and soon there will be none. You’ll need to find a tour guide who will take you to Chin Village in the town of Mrauk U (prices can range from $50-100/person for the day). Generally the tours start early in the morning and take you to a variety of places in the area. You may get to visit small schools where children of varying ages are piled into dilapidated buildings and then on to the small villages to talk to the tattooed women. The villages cater to tourists in different ways. You may arrive to find people doing chores or going about their day. If you get the opportunity to sit down with one or two of the women, ask them about their tattoos, they are happy to tell you their story. Some will have goods for sale or request donations. If you feel so inclined, bring medicine or soap or give a cash donation, they really appreciate it. From Mrauk U you’ll need to hire a guide and a private boat to take you to the Chin Villages. Due to the political challenges still facing this country, some of the beautiful coastline is still closed to tourism. 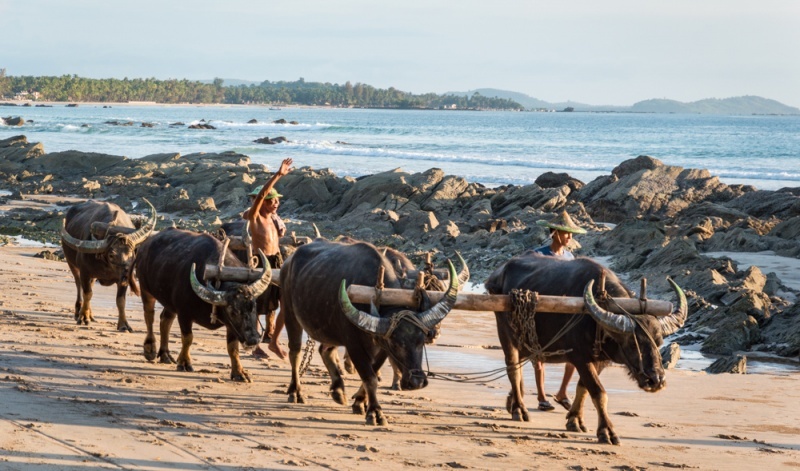 Ngapali Beach is probably the most touristy of the coastal towns but remains off-the-beaten-path as it’s not exactly easy to get to. 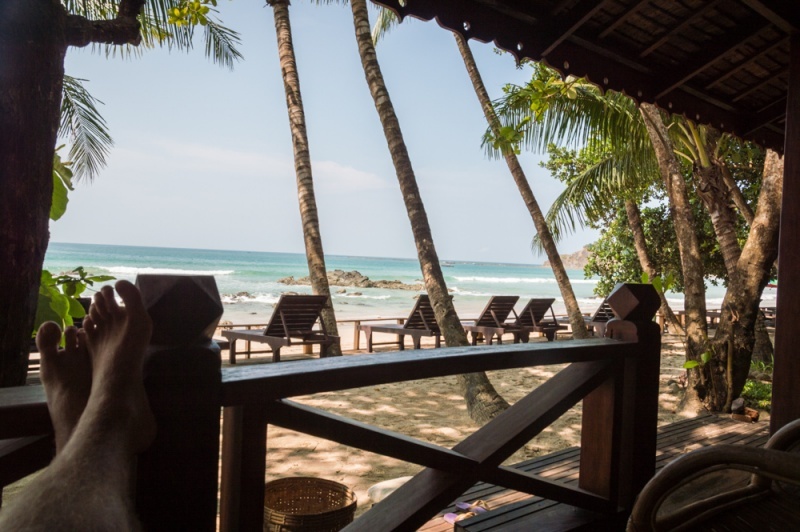 If you do decide to make the trek you’ll find lovely, reasonably priced hotels, delicious seafood, and sandy beaches that are perfect for lounging. If you tire of taking it easy and are looking for an adventure, hire a guide to take you on a full day spear fishing trip! The boat leaves early in the morning and you will likely start your day with a fishing pole that is actually just a piece of wire attached to a water bottle. From there you will go to a shallower location and be provided with snorkel gear and a bamboo spear. Attached to the bamboo spear is a rubber band which you hold between your fingers to create a slingshot affect. It’s pretty difficult to actually spear anything but you’ll have an entertaining time trying! If you actually do end up catching anything, you can find several restaurants on the beach that are willing to fry it up for you! As a bonus, if you happen to visit during the Thadingyut Festival of Lights you’ll find the pagoda’s lit up with hundreds of candles and the locals celebrating with homemade fireworks! Buses in Myanmar leave something to be desired. Be prepared for a bumpy road and awkward bathroom breaks that involve squatting in bushes that appear to be in someone’s backyard. The Mahamuni Buddha Temple (aka Mahamuni Pagoda) in Mandalay is famous in Myanmar for a few reasons. First, it houses the Mahamuni Buddha image which is the most highly revered Buddha image in the country that believed to be 2000 years old. The body of this image has been distorted by the gold leaf that has been lovingly applied by devout males (again, females are forbidden). The gold leaf is so thick that the body of Buddha now resembles more of a misshapen blob. But the face has remained untouched. Which brings me to the second reason that this particular temple is so famous. 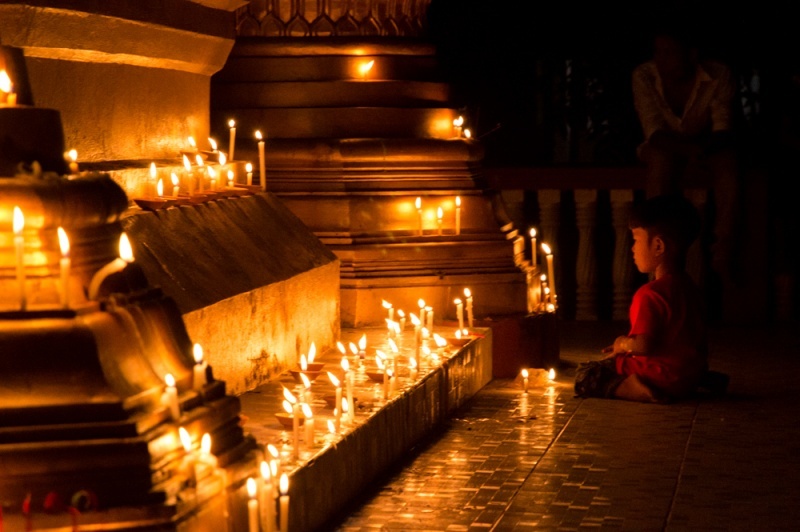 Every morning at around 4:00am, dozens of devout Buddhists gather at the front door. They are waiting to get inside of the temple in order to to watch as a monk lovingly washes Buddha’s face and brushes his teeth. This is a tradition for locals but tourists certainly won’t be turned away (and you’ll likely see a few other foreigners as well). Once inside, you’ll buy a tray of offerings and sit on the floor behind the tray. You’ll want to either be cross-legged or sit with your feet respectfully pointed to the back of the room. Watch what the locals do with their offering trays and follow suit. With the help of a few others, the monk will begin the ceremony by getting various ornate platters blessed by Buddha. From there he climbs onto a platform where he has easy access to reach Buddha’s face. He uses cooked rice to scrub Buddha’s teeth (well, lips), and then uses cloth to slowly and methodically wash Buddha’s face over and over again. Once the statue is clean, the dirty bathwater from the cleansing is passed around the temple so that the devote can sprinkle it over their heads or onto their tongue. You can partake in this strange tradition or simply pass the bowl on to the next person. Be sure to explore the rest of the temple before heading back to your hotel for a much deserved nap! 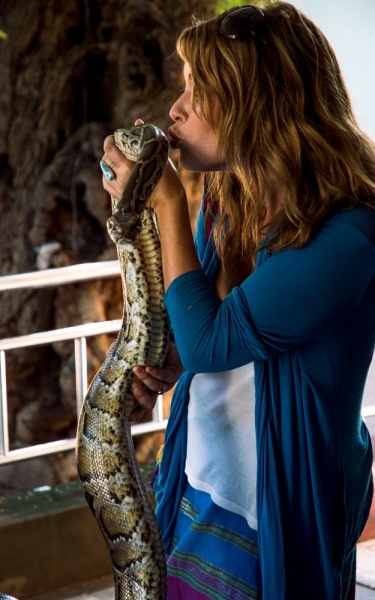 While visiting strange temples in Mandalay, be sure to take a trip out to (aka Snake Pagoda) where snakes are considered holy and treated like kings. 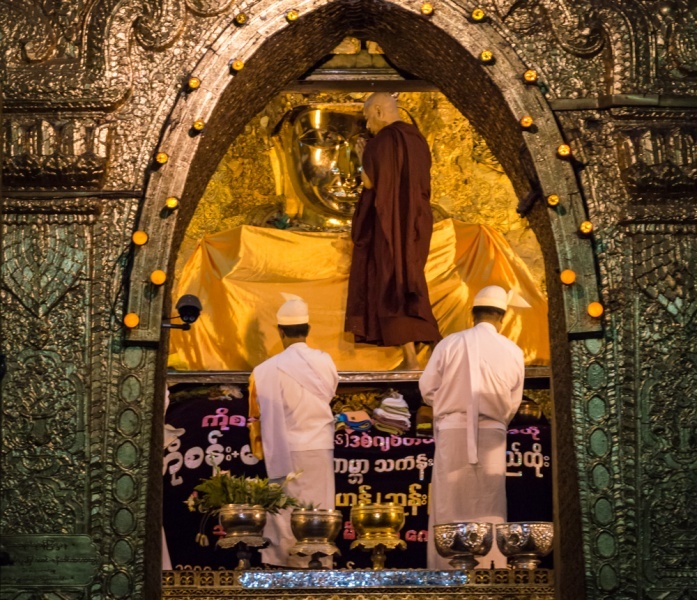 The Mahamuni Buddha Temple is located between 82nd Street and 84th street in Mandalay. You can hire a private taxi or tuk-tuk but best to confirm the night before as you’ll have a very early wake-up call. You’ll need to hire a taxi or motorbike to take you to Hmwe Paya as it is outside of town. 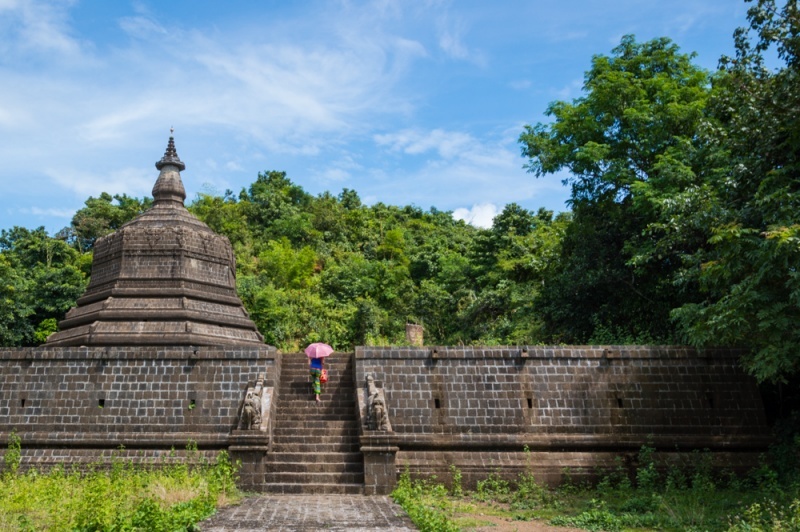 The 26 square mile area that was once the capital of a powerful ancient kingdom filled with over 10,000 Buddhist temples, pagodas, and monasteries, is now one of Myanmar’s top destinations for tourists to visit. These beautiful structures were constructed between the 11th and 13th centuries but due to various natural disasters, only about 2,200 temples and pagodas have survived to this day. Thousands of foreigners flock to this stunningly beautiful area to explore Bagan’s beautiful temples by bicycle from the ground or hot air balloon from the air (or both). While you’re unlikely to find any pagodas all to yourself, you will have the opportunity to view this archaeological wonder that you’ve no doubt seen countless photos of first-hand! In western Shan State, about 340 kilometers west of Bagan is Inle Lake. The approximately 70,000 local Intha people rely on this lake for their livelihood and have created floating villages for their homes and floating gardens for their sustenance. The lake is recognizable by the photos of men rowing boats with their feet rather than their hands. The people have capitalized on the increase in tourism and offer boat rides to see various sites around the lake including a ride through the villages and the gardens. And the men rowing the boats with their feet will put on quite a show and then request a tip. So the experience doesn’t feel as authentic as some of the others listed above but it remains a fascinating place to visit regardless. 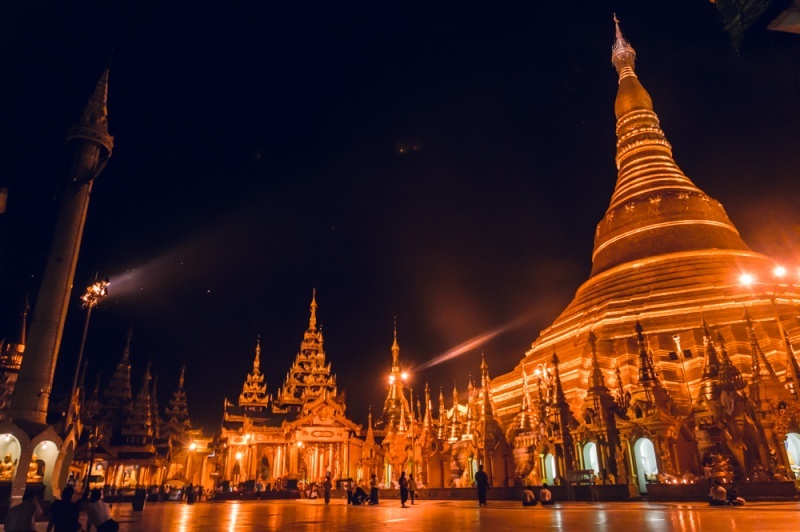 Myanmar’s largest city’s shining jewel is the Shwedagon Pagoda which in and of itself is worth a visit. Beyond that, this city is bursting with life and energy! Restaurants, bars, and shops fill the streets and expats flock there as it is an incredibly livable city. Spend at least 4 days here wandering the streets, checking out the local markets, and imbibing with the locals at outdoor restaurants! Want more info? Check out our favorite travel guides and books! Myanmar is definitely on my bucket list. 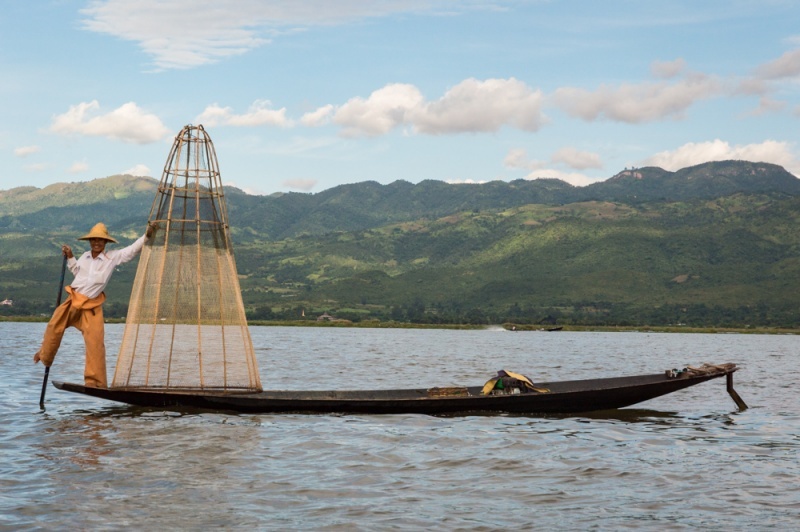 Of course seeing the pagodas of Bagan and the Fishermen performing while fishing in Inle Lake are on my bucket list. However, Iove that you guys found so many off beaten path adventures. 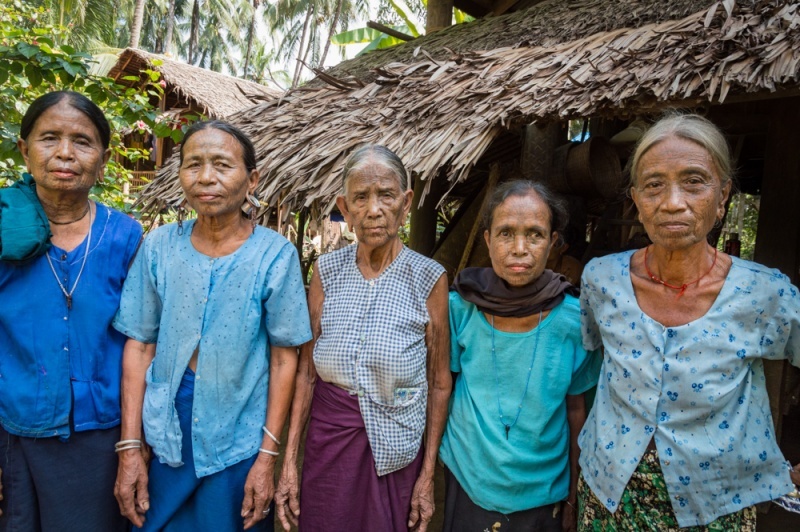 I would love to explore and talk to the women of the Chin Village. What a great cultural experience. What a wonderful collection of things to do in Myanmar that take you beyond the main tourist sights. I’m genuinely wanting to do all of them, perhaps except climbing Mount Popa as I’m not sure I could manage that many steps at the best of times, let alone when slippery with diluted monkey poo!!! Beautifully thorough guide, really longing to visit. While I knew that the public transport and infrastuctures aren’t the best, I never thought that hotels can be expensive in Myanmar. But you’re definitely right, if there aren’t many, it can be difficult to find a cheaper option. So how long before should one start planning for a trip over there? We went to Myanmar in 2013 and spent time in Mandalay, Bagan, and Yangon. We thought it was an incredible travel destination and we would go back in a heartbeat. I’d really love to go here someday! I’d love to climb Mount Popa or explore some of the natural areas. The history here is amazing too. It’s a place that I could see visiting many times! Myanmar is so high on my list and has been forever. Unfortunately there are just to many injustices going on within the government that we just do not feel comfortable supporting. However, when that changes, I look forward to using your guide! Inle Lake is on my list for sure and visiting all of the temples. I studied Eastern Religion in college so this country just seems so special to me.